Nestled between Hersonissos and Piskopiano a traditional village in Crete, the Bellos Hotel Apartments offer beautiful accommodations. Only a few hundred metres from the beach, the hotel features two massive swimming pools along with two children’s pools as well as a lush garden. The self-catering apartments come with a fully functional kitchenette, private balcony and all the necessary amenities required by the modern traveller. There’s a mini market onsite that allows guests to pick up essentials and ingredients for their meals. The onsite restaurants carry a pleasant ambience and offer delicious local and international cuisines. 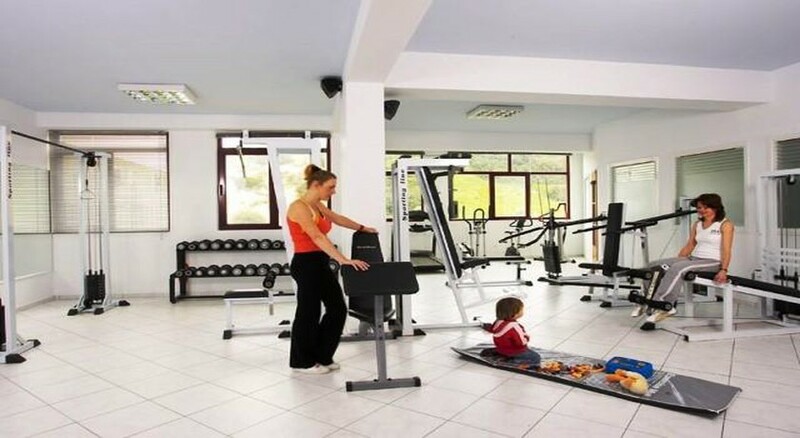 The hotel also features a tennis court, state of the art gym, a football pitch, table tennis, etc. The steam room lets you sweat out the toxins and help in rejuvenating. 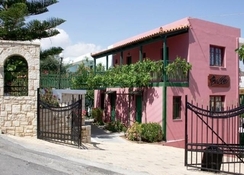 Only a few minutes’ walk from the charming Piskopiano village sits the Bellos Hotel Apartments Hersonissos. The Hersonissos beach is about 1.5km from the hotel. The Heraklion Airport is 25.2km from the property, making it easy for guests to reach and board their flights back on time. There are numerous restaurants, bars, pubs and shop selling souvenirs close to the hotel. The guestrooms in Bellos Hotel Apartments Hersonissos offers mountain views as well as views of the coast. The rooms are categorised as studios that can accommodate three adults, and apartments that can accommodate four adults. The studios come with a sofa bed and twin bed, while the apartments come with a twin bed and two sofa beds. All rooms feature a fully functional kitchenette. The Bellos Hotel Apartments Hersonissos feature a main restaurant, a snack bar and a bar. The restaurant serves local and continental cuisine; the snack bar is good for some light finger food. The hotel’s bar serves a wide range of cocktails and beers. With two massive swimming pools and two separate children’s pools, guests can have a splash-tastic time at the Bellos Hotel Apartments Hersonissos. The hotel also features a football field, tennis court, and small playground fitted with slides and swings. There’s also a billiard table and foosball table at the bar. The hotel organises for evening entertainment, which includes dancing and karaoke. The beach is about 1.5km from the hotel, where you can find ample water-sport activities.